T.L. 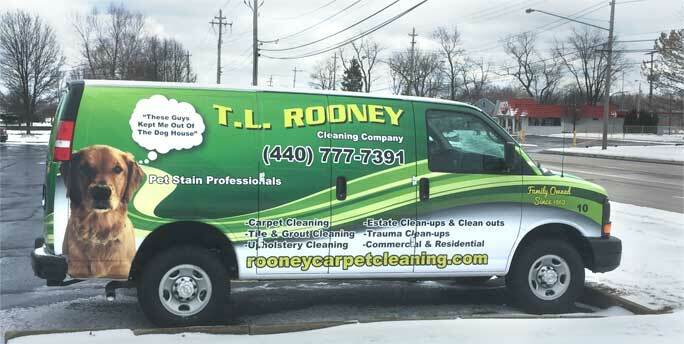 Rooney Cleaning Company is a licensed and insured residential and commercial cleaning company with over 50 years of experience in cleaning and maintaining commercial and residential carpets, area rugs, oriental rugs, upholstery, tile and grout, furniture, windows and more. We are committed to providing homes and businesses like yours with a cleaner, healthier and more beautiful indoor environment. Each job we take gets the personal service and detail it deserves. Our services are based on many years of experience coupled with technical skills and modern equipment. Whether you need professional carpet cleaning for your office, tile and grout cleaning for your home, or anything else you can think of, no job is too small, too large, or too complicated for us. Make our family a part of yours by scheduling an appointment today or call for a free estimate!